Hot off the lips of Steve Jobs, Apple has just announced their new tablet computer—the iPad. Rumors have swirled for months prior to its release and now that it’s here, well, it looks a lot like we expected. 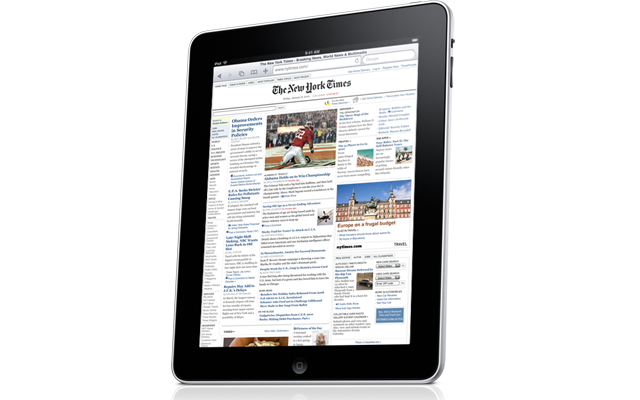 With a modified iPhone OS, optimized for the larger screen, the iPad is capable of handling the typical tasks that are easier on a computer than a phone, but lack the need for a full computer’s bulk—the iPad is only a 1/2″ thin, weighs only 1.5 pounds and sports a 9.7″ screen. With up to 10 hours of battery life, and from 16gb to 64gb of storage, we’re drooling. iPad pricing ranges start at $499 to $699 with unlimited 3G for $30 a month and an extra $130 on the base models. Available in 60 days!